Kevin C. Meek - UGRIN ALEXANDER ZADICK, P.C. Kevin joined Ugrin as a shareholder in 2008. Prior to joining, Kevin was in private practice in Great Falls for 22 years. Kevin has served as a Deputy County Attorney in Lewis & Clark County and Cascade County, and was also a staff attorney with the State of Montana Fish, Wildlife & Parks. As a former prosecutor, Kevin tried more than 50 jury trials. He has been in private practice since 1986 and has tried jury trials ranging for bad faith, will contests, constitutional tort claims, and multiple wrongful death/survival actions as well as numerous other claims for personal injury and property damage. Kevin was born in Tacoma, Washington in 1954 and grew up in the small logging community of Orting, Washington. 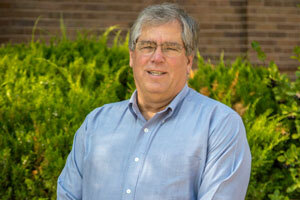 Kevin is active in his church community and has served on various Boards and committees. When his children were younger, Kevin coached tee ball, soccer and basketball. In his spare time, Kevin and his family spend their time hunting, fishing, camping, riding ATV’s, kayaking and enjoying their mountain cabin.